Compass & Anvil sources precision castings and forgings for a number of applications across many industries. Precision sand casting, also known as sand molded casting, is one of the most widely used processes for forming complex metal components. Sand is a relatively inexpensive and readily available material to use for metal forming. Its resistance to high temperatures also makes it a valuable material to use in this process. Not all sand is appropriate for use in the casting of metals, so the quality of the sand is judged based on its strength, permeability, thermal stability, collapsibility, and reusability. Making the Mold - A specialized pattern is placed into packed sand to create two halves of a mold. The pattern is removed to reveal a cavity that will be used for the casting process. Clamping the Mold – The two halves of the sand molds are prepared for casting and then clamped together with a gating system to produce a full mold cavity that is ready to receive the molten material. Pouring – Molten metal is quickly poured into the mold. Cooling – The molten metal begins cooling as soon as it enters the mold cavity. 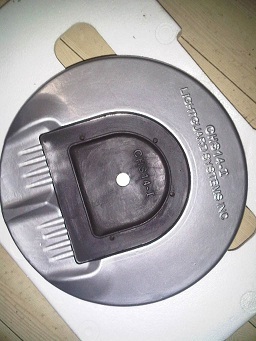 The casting must solidify completely before it can be removed from the mold. Removal – Once the casting has completely solidified, the mold can be broken away and the casting can be removed. 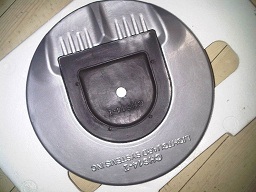 Finishing – Once the casting has been removed from the mold, it is trimmed of excess material and may possible finishing. Green Sand Casting – A widely used option for sand casting because it is inexpensive and stable, green sand casting uses molds that are a mixture of sand, water, and another binder (clay is often used). Skin-Dried Sand Casting – Similar to green sand casting, the skin-dried casting process utilizes a mixture of sand, water, and binding agents, and additionally involves drying the cavity surface. Dry Sand Casting – Also referred to as cold box molding, this type of casting involves combining sand and an organic binder that is then baked in an oven. No-Bake Casting – This casting process involves the use of sand and a liquid resin to create a mold that is allowed to harden at room temperature over a specified time. Contact us today at (408) 205-1319 (Pacific Time) or email us for a no obligation quote or to request additional information about sand casting processes.